Japanese want Renault to examine evidence against jailed executive. Carlos Ghosn has been ousted at Nissan and Mitsubishi, but Renault has only replaced him temporarily pending the outcome of his legal proceedings. 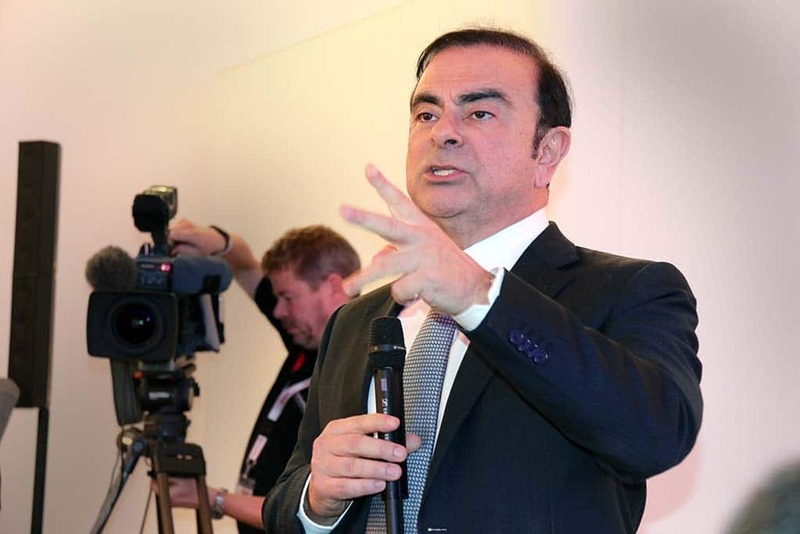 Tensions are mounting between the French and Japanese sides of the Renault-Nissan-Mitsubishi Alliance, according to various insiders and news reports, in the wake of the arrest of Carlos Ghosn, the man who put the alliance together two decades ago. While the Brazilian-born executive has been ousted from top management roles by both Nissan and Mitsubishi, Renault has refused to follow suit while Ghosn awaits trial on allegations of financial corruption. He was charged by Japanese prosecutors earlier this month with concealing income and misusing corporate funds, but some sources believe the case really centers around growing concerns by Nissan about its relationship with Renault. The second-largest of the Japanese automakers is pressing its French partner to take a closer look at the evidence it claims to have gathered as part of an investigation triggered earlier this year by a whistleblower. The Reuters news service is reporting that Nissan CEO Hiroto Saikawa hopes to meet with his Renault counterpart, Thierry Bollore, in Amsterdam next week. The alliance was formed nearly 20 years ago when the French carmaker ponied up $6 billion to bail out the nearly bankrupt Nissan. Ghosn was initially named chief operating officer at the Japanese maker, later rising to CEO and, more recently, moving into the chairman’s post. Before his arrest Nov. 19, he had also been serving as CEO of Renault and chairman of Mitsubishi. Nissan took a controlling stake of the smaller carmaker two years ago to prevent it from going bankrupt after a series of scandals. While Ghosn was originally hailed as a hero for rescuing Nissan he has been seen as the source of growing friction between the French and Japanese sides of the alliance over the last several years. Nissan officials, as well as the various Japanese entities represented on the company’s board, fretted over the 64-year-old Ghosn’s interest in fully merging the automakers. Since they teamed up in 1999 they have continued to function as independent companies despite financial cross-holdings and other ties. But with a 43.4% stake in its partner, Renault has been in a position of dominance, among other things naming key executives and board members, as well as the head of the alliance umbrella company. For its part, Nissan holds a more modest 15% stake in Renault. 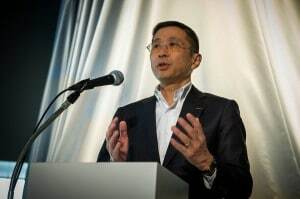 Since the arrest of Ghosn and alleged accomplice Greg Kelly last month, Nissan CEO Saikawa has expressed his desire to change the balance of power in the relationship. But Saikawa has himself come under fire, some questioning why the case was escalated from an internal matter that might simply have led to Ghosn’s ouster into a criminal matter. The charges now facing Ghosn could result in up to 10 years in prison. And prosecutors have indicated they are looking into allegations of additional corruption that could bring further charges. Officials at Renault have been openly skeptical of the allegations, reflected by the fact that they have declined to fully remove Ghosn from office, simply appointing a temporary replacement while he is in custody. French government officials have also been cautious in their response, saying they want to preserve “due process.” The government is the largest Renault stakeholder. According to Reuters, the meeting between Saikawa and Bollore in Amsterdam next Tuesday will wrap around a routine board meeting. It may provide the Japanese an opportunity to press for changes in the broader structure of the alliance, sources have told TheDetroitBureau.com, among other things, limiting Renault’s ability to make key appointments unilaterally. Some observers fear that without a realignment the automakers could start to drift further apart, perhaps even break their alliance. But others say the financial cost of a break-up would be far too great and that they will be under intense pressure to reach some sort of compromise. Whether that could happen with Ghosn still in custody is one of the questions to be resolved. This entry was posted on Tuesday, December 18th, 2018 at and is filed under Asia Pacific, Automakers, Automobiles, Business, China, Europe, Executives, Investors, Lawsuits/Legal, Markets, Mitsubishi, NAFTA, Nissan, Personalities, Renault, South America, U.S./North America. You can follow any responses to this entry through the RSS 2.0 feed. Both comments and pings are currently closed.